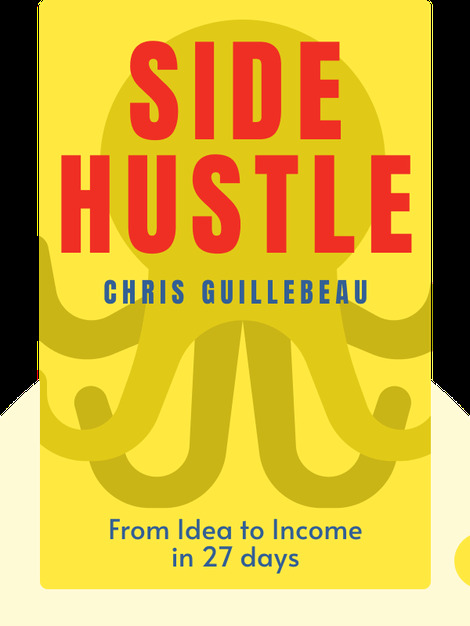 Side Hustle (2017) explains that anyone can design and launch a profitable side project. It details how to generate an income in the short-term, with the resources you already have at your disposal, and without taking on the risk of quitting your day job. 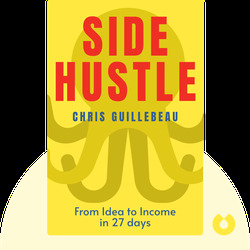 Chris Guillebeau is an author, blogger and speaker. He wrote The $100 Startup, which was a New York Times best seller. He also runs The Art of Non-Conformity, a blog which is among the 15,000 most visited websites in the United States. In 2013, he completed his plan to visit every country in the world.